Just as individual as yourself! 13 standard sizes and the possibility of individual printing - your brand, your tent. Choose the canopy tent that matches your personality and requirements! A prestigious platform for any event, an attractive advertising medium for promotions, reliable protection against all kinds of weather – atento canopy tents by RUKU will fulfil your individual requirements and wishes in any situation. atento quality at reasonable prices – when economical solutions are needed. The perfect tent size for any purpose and situation! At RUKU, you'll always find the perfect size: From our smallest 1.5×1.5m canopy tent and the practical 3×3 m version to the spacious 8×4 m canopy tent - all are available from stock. In addition to 13 standard sizes of atento 43 (frame thickness = 43×49 mm), we offer 3 sizes of atento 38 (frame thickness = 38 mm) and atento Basic (frame thickness = 30 mm). The ideal companion for markets and trade fairs. The atento canopy tent by RUKU can be set up easily and quickly. The tent can be assembled in unter two minutes with just a few steps and no tools required. Based on the motto: Minimum Effort, Maximum Impact! Choose your favourite from a range of 12 standard colours for the roofs and sidewalls of your atento canopy tent - especially adapted to your corporate design. Fabric protection with PVC and rubber capsWhere the structure touches the roof, all joining elements are covered by rubber caps. Furthermore, these contact points and the edges of the roof are strengthened by soft, elastic PVC parts. Connecting elementsThe frame’s sliding joints and all other connecting elements consist of stainless, anodized aluminium – with excellent dimensional stability even when subject to temperature changes. Octagonal aluminium frameThe high-quality atento 43 frame guarantees maximum stability even with frequent and many hours of use. Roof tensioningWith the integrated tensioning fasteners, the roof can be secured and tensioned smoothly. Bolt system with springs and plastic glidesThe bolt system with springs and the plastic glides ensure the smooth gliding of the tent legs. PushbuttonOne press of the button is all you need to unlock the corner slider, so that you can securely close the folding construction. Quick & simple set-upThe canopy tent by RUKU can be set up easily and quickly. The tent can be assembled in unter two minutes with just a few steps and no tools required. Based on the motto: Minimum Effort, Maximum Impact! Uncomplicated but extremely robust, designed to fulfil the demands of daily use. Our atento folding tents, technically on the highest level and in best German quality, are of course certified by the German Technical Inspection Agency – for your safety and security. More than twenty years of experience has flown into the construction and equipment of each and every atento canopy tent. Even more stability. Base plates (10 kg) from atento provide your canopy tent with additional stability. The system of galvanised moulded plates is easy to transport and stack. Soft light. With four 15-watt LED lamps, this LED lighting is the green alternative to conventional lighting systems. And here’s something extra: a pleasant ambience can be created with an adjustable dimming switch. Canopy tents and folding furniture sets for every situation. At trade fairs, markets, promotion tours, partys or in the garden – our products are the perfect choice. 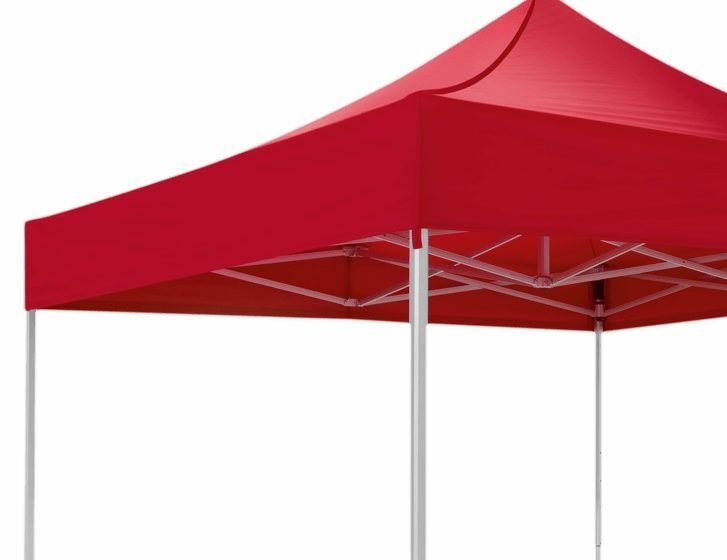 Is an atento canopy tent difficult to assemble?